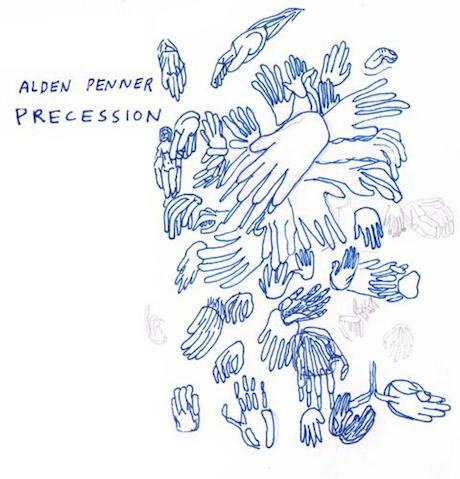 Alden Penner, who has previously performed in the Unicorns as well as Clues and Hidden Words, released a four-song solo EP back in 2011. Now, he's back with another. The new four-track mini-release is called Precession and sees Penner toying with different sonic palettes, from electronic-driven acoustic rock on "Beauty of the Lamb," noirish indie rock on "I, Icarus" and plucked acoustic folk on the title track and "No Peace." Precession is available to stream in its entirety below. Penner is also planning a full-length album for release in 2014, which will be followed by some touring, though details are scarce at this point.